The new Gold Fish, aka perfect weapon. Known for producing some of the highest-performing skis atop the surface-area-to-weight charts, Movement has endeared themselves to skiers who demand premium gear. As the name would suggest, the Race Pro 71 is 71mm wide underfoot and represents the middlest ski within Movement’s Race Pro lineup, right between the 66 and 77. Wider than most race skis, narrower than most mountaineering skis, the Race Pro 71 is an objective-seeking missile designed to get you there and back in record time. And since it’s available in lengths that give an advantage on the way down, you’ll get there with a bigger smile on your face. With a top-secret core that lets the 168cm length weigh in at a shockingly low number, you basically have a race ski underneath you on the way up. But the extra girth and tip rocker will quickly remind you that this doesn’t handle like a typical race ski on the way down. The tip notch accepts bungee-style race attachments for the fastest transitions in case you want to go back for more and have no time to waste. The Race Pro 71 is the gram-counters adventure ski, powder ski, and mountaineering ski, or the everyday tourer’s race ski or objective ski. 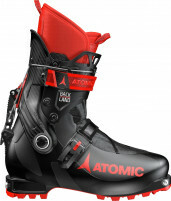 Either way, it’s fun, well-engineered, and should become your ski. Ultralight Karuba core is the tried and true method of producing a durable, featherweight ski. P-Tex 5000 is one of the hardest base materials available, ensuring Ferrari-like handling on the way down. Titanal Double Plate Reinforcement zones for enhanced binding and core integrity. Race Edge is lightweight yes still cuts through hard snow like butter. 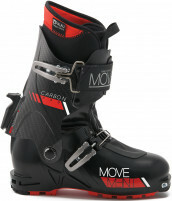 Movement says the Race Pro 71 is 90% Performance Skiing and 30% Classic Touring, which means it's 120% awesome. Matching Skins: You can choose from standard precut skins with tip and tail clip, or go fast with Movement's race skins. Update 2018/29 - Topsheet has very slightly changed graphic, otherwise the ski is the same.